Wikileaks Co-Founder Julian Assange ARRESTED In London At Ecuadorian Embassy! The co-founder of Wikileaks, Julian Assange, has been arrested at the Ecuadorian embassy in London. Well-known for publishing government documents on corruption, and the enslavement of the general populace, Assange was dedicated to speaking truth to power. Of course, those political elitists in power who claim dominion over our lives cannot have someone ripping their masks off and showing them as the vile sociopathic monsters that they are. Unfortunately, because Assange was spreading the truth about the power structure, it was only a matter of time before he was taken into custody by “authorities” claiming they have some kind of right to declare dominion over other human beings. Founded in 2006, WikiLeaks specializes in publishing “censored or otherwise restricted official materials involving war, spying, and corruption.” The site claims it has published more than 10 million documents since its inception. One of Wikileaks most infamous dumps were the emails between John Podesta, Hillary Clinton’s campaign manager, during the 2016 presidential election. A stream of controversy has surrounded a slew of mysterious emails. Assange has been embarrassing the power hungry psychopaths in government for a long time, and the control freaks are proving they won’t go down without a fight. According to the Express, as he was forcibly taken into custody by tyrants (who hate it when people tell the truth about who they are), Assange yelled: “the U.K. MUST RESIST!” as he was forced into a Scotland Yard van. 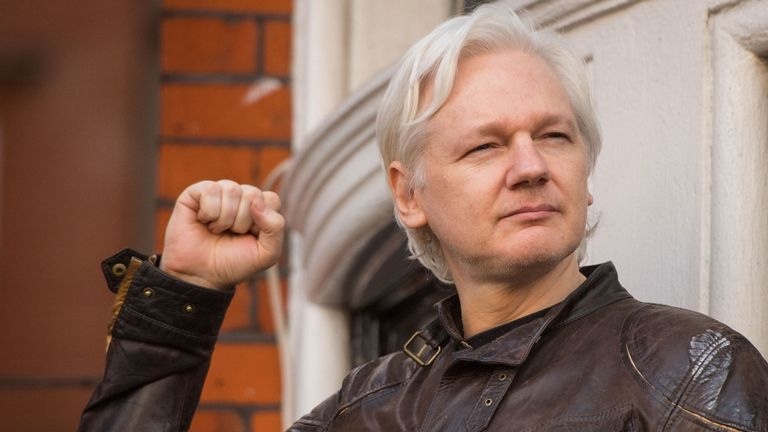 At the news of his arrest, WikiLeaks tweeted: “URGENT: Ecuador has illegally terminated Assange political asylum in violation of international law. He was arrested by the British police inside the Ecuadorian embassy minutes ago.” Wikileaks also accurately portrayed the attempts by the media to dehumanize Assange are all a part of desperation. The elites are desperately clinging to power. Contributed by Mac Slavo of SHTFplan.